We defer to our sister bar, The Cellar, when it comes to beer - if you want to try something a bit wacky, head there to sample some of their stock that boasts over 100 different brews. And whilst we at The Cornerhouse will never try to have such a beer-centric focus, that's not to say we don't take the stuff seriously. Our 4 cask ales are designed to cover a spectrum of styles so that there's something to please everyone (unless you want beer with beetroot & horseradish, in which case you're best off over the road!). Tim Taylor's Landlord is our traditional offering, with Salopian Oracle regularly gracing the pumps, it's turnover so frequent that it's often noted as being the freshest, tastiest pint of Oracle customers get anywhere. We feature a changing stout line, that's hosted a fair bit of Titantic's Plum Porter over the winter, and an ever-changing guest line that tends to feature stronger pales. Our focus is very much on independent breweries and quality craft. On keg, we have a wheat beer, a Timmermans fruit beer (currently cherry), and 3 guest lines that feature the likes of Beavertown Gamma Ray, Vedett, Duvel, Magic Rock, Siren, Tiny Rebel and Thornbridge. Our bottle and can range is pretty satisfying too. 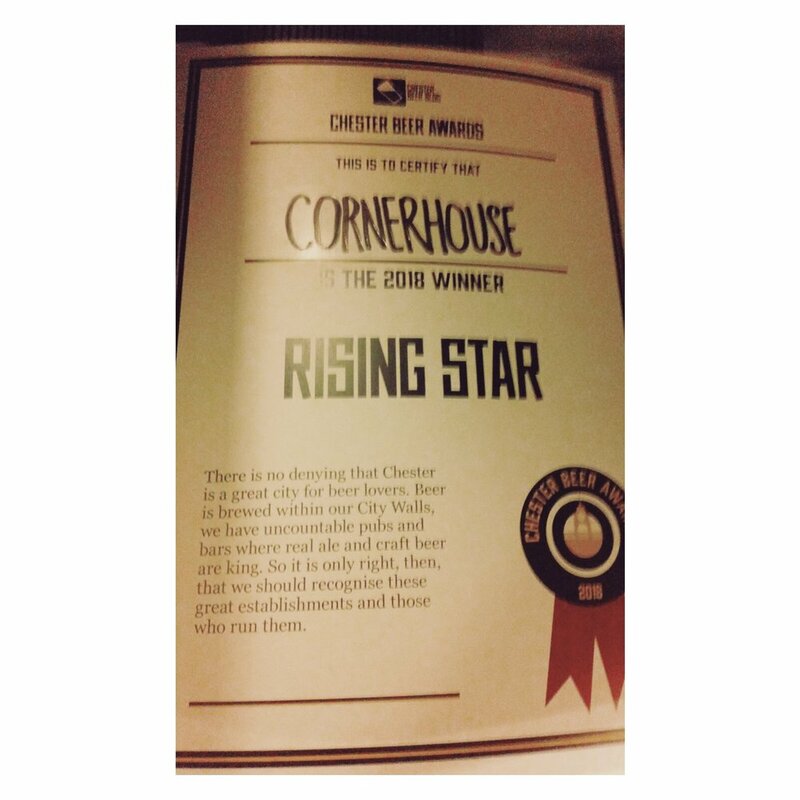 We were therefore chuffed that our beer efforts were recently acknowledged at the Chester Beer Blog Awards when, through nominations and subsequent panel judging, we were crowned Rising Star. Thank you to everyone who voted and was involved, and particularly to Ben and Martin, our Managers, who do such a good job with the beer.